Derek MacKay, the Scottish government’s cabinet secretary for finance and the economy, was told earlier this month that Scottish-made products can win back the import-dominated UK market for the heavy-duty steel used in bridges, buildings and battleships. During a visit to Liberty Steel Dalzell in Motherwell — a plant making a strong comeback after a year’s shutdown — he saw how the mill was in the process of winning back a share of the British market for plate steel, which has been overwhelmed in recent years by imports from continental Europe and South Korea. Mr MacKay said: “We are committed to ensuring that the steel sector has a sustainable future, building on the long and proud heritage of steelwork in Scotland. Dalzell is now the only remaining fully UK-owned large producer of plate steel — an ultra-tough product used for demanding applications such as large physical structures, ship bodies, undersea oil pipes, bulldozers and wind towers. 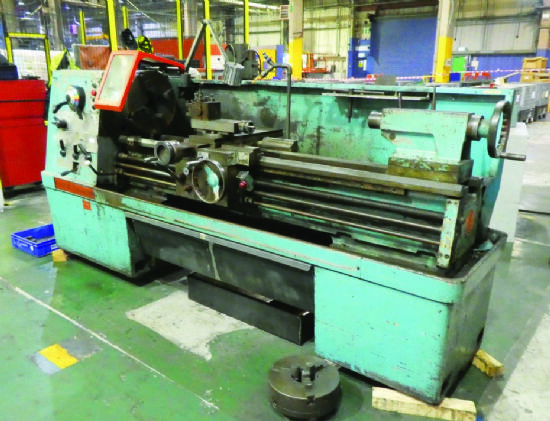 Liberty (part of the GFG Alliance) re-opened the plant, which had been closed by the previous owners. Following a tough first year, the company believes that the operation is now back on its feet and challenging the foreign plate producers who have taken nearly 70% of the UK market. 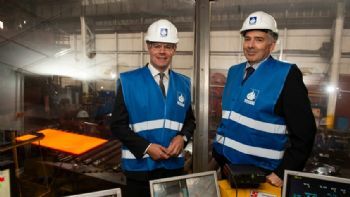 Gordon MacRae, managing director of Liberty Steel Dalzell, said: “With the skill and determination of the workforce at Dalzell, we’ve begun to make real inroads into this market. He said that the plant has just secured two substantial new contracts and is on target to produce more than 120,000 tonnes of plate this year. That figure is set to rise by at least 25% next year, as the plant’s expansion plan moves into its next phase. As part of the Group’s value-added business model, a significant amount of steel from Dalzell will be used by other Liberty plants in Scotland and England to make products such as wind towers and oil pipelines.